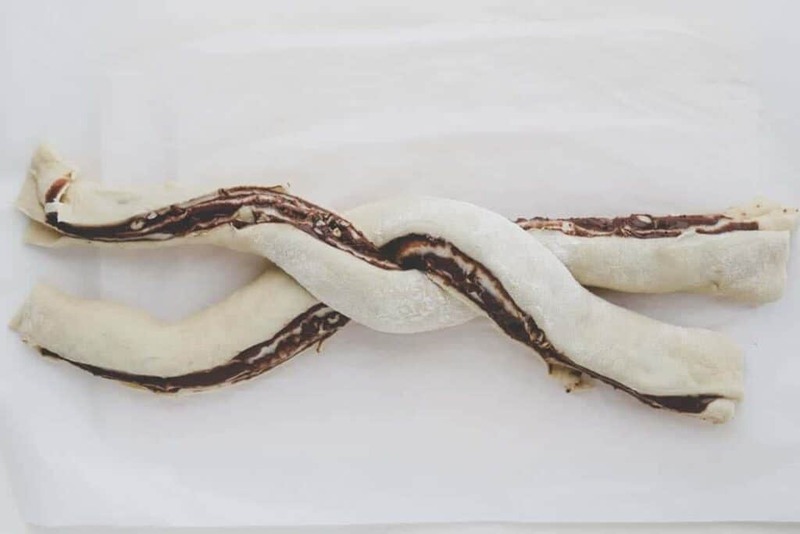 Chocolate, hazelnuts, and the fluffiest bread dough combined – that’s the ultimate braided Nutella bread! 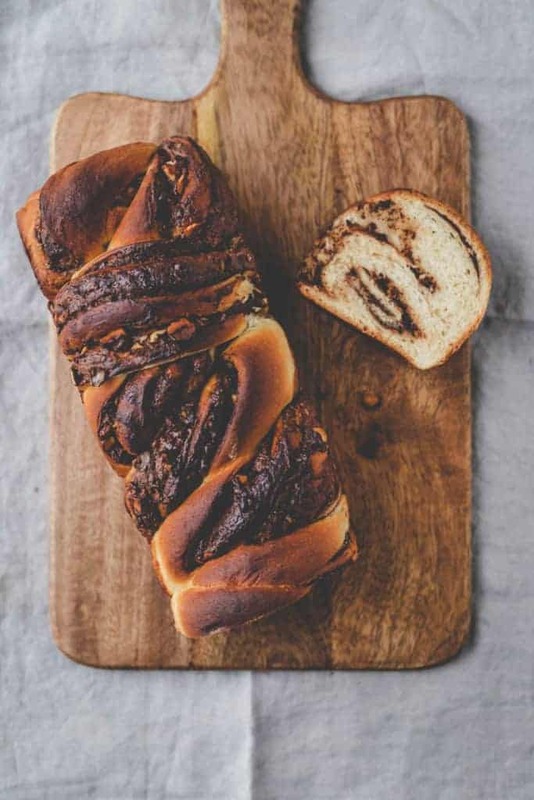 Braided Nutella bread is one of my favorite sweet bread. 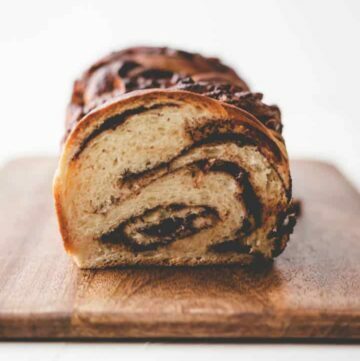 The dough is similar to my vegan zopf recipe, which means soft and airy, and the Nutella filling makes this bread super moist, sweet, and delicious. 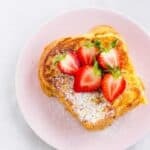 You can serve it as a dessert, breakfast, or brunch. It never lasts long when I make one ? 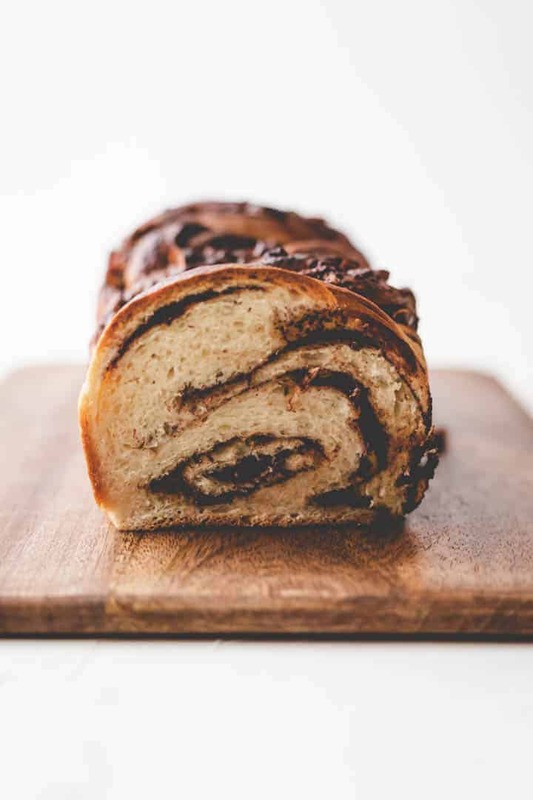 This bread dough is vegan, but as Nutella contains cow milk, it’s not vegan-friendly. Make sure to check out the recipe variations below to make a plant-based version of this Nutella babka. 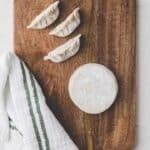 Make the dough according to the recipe below. Let it rise for 1.5 hours at room temperature. 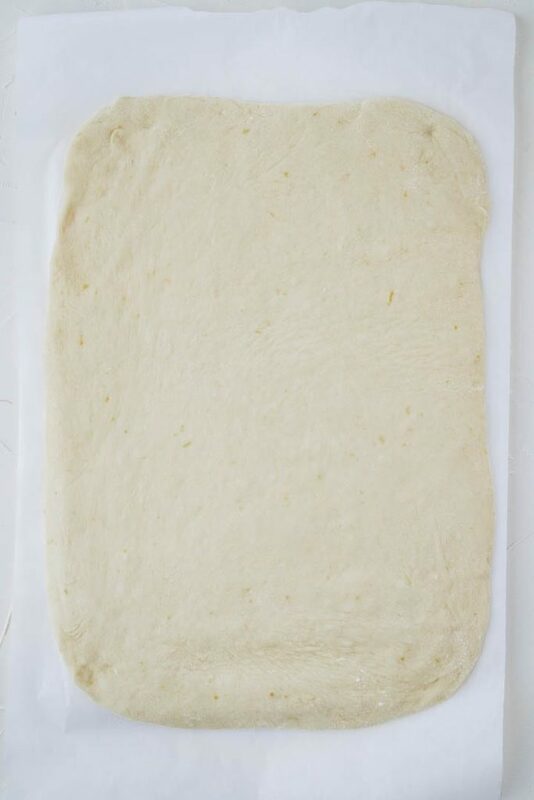 Roll out the dough on a floured working surface into a long rectangle (10″ x 16″ | 25cm x 40cm). 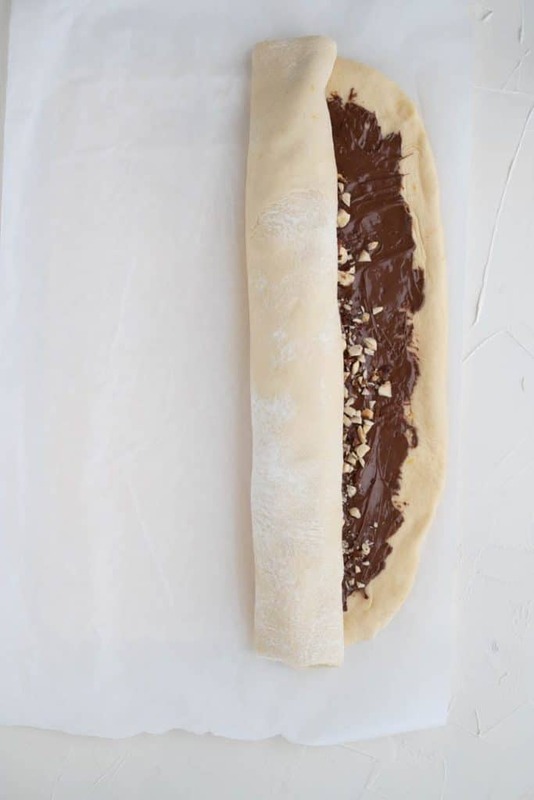 Evenly spread with the Nutella, leaving a 0.5″/1cm border uncovered. 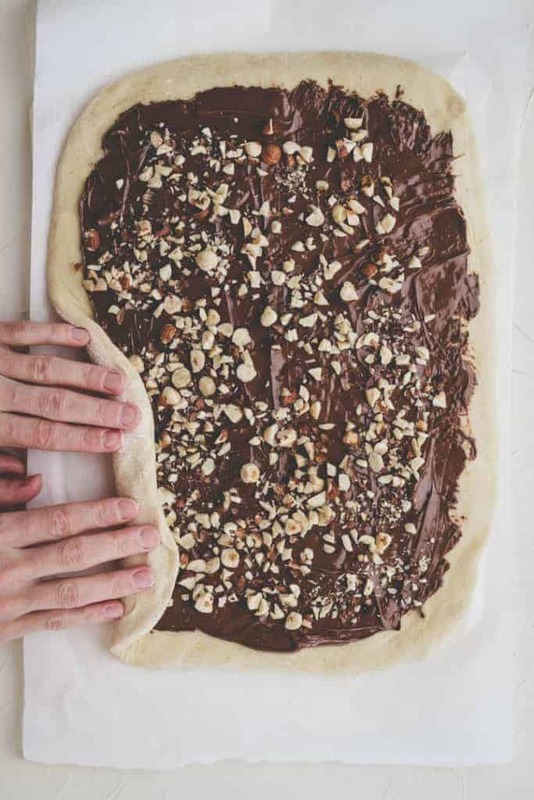 Roast hazelnuts for 5 minutes in a pan, chop them and evenly spread on the Nutella. 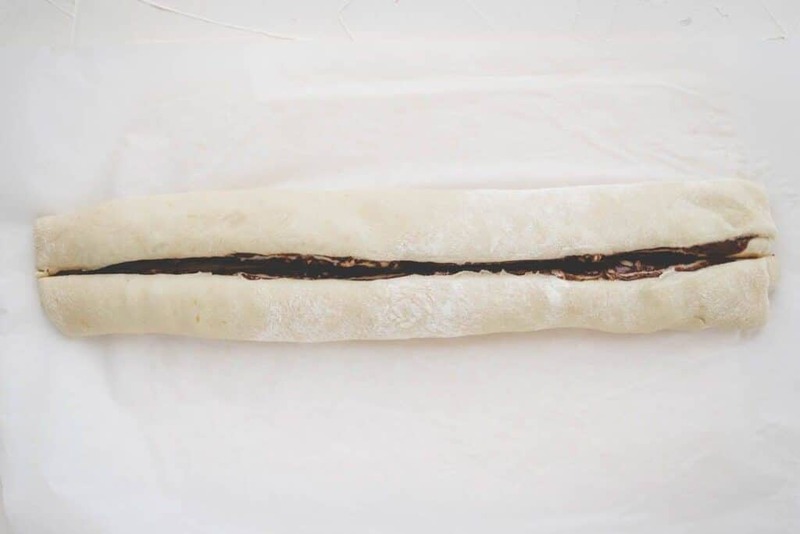 Roll the dough tightly into a long log. Cut the log lengthwise in half → it works best using a scattered knife. 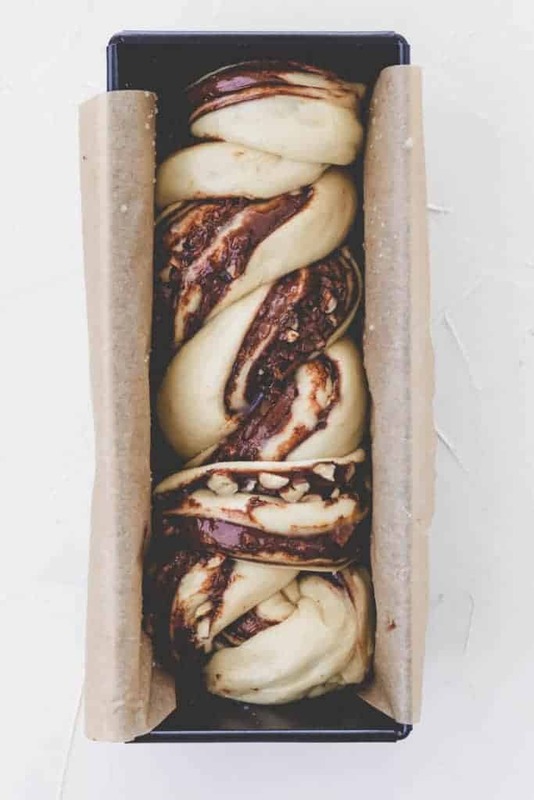 Twist both log parts around each other until you have a nice braided bread. 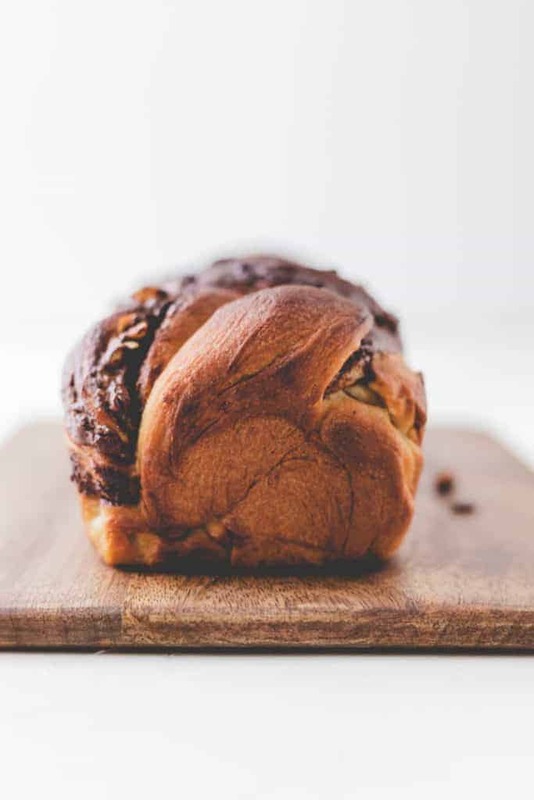 Lay a 10″ x 5″ (Europe: 25cm) loaf pan with parchment paper. Carefully transfer the braided bread into the loaf pan. Cover with a damp kitchen towel and let it rise for 1 hour. 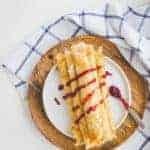 Brush the loaf with the bread wash and bake for 30 minutes in the preheated oven. 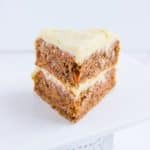 Let it cool down on a wire rack before slicing. Vegan Version: The dough is entirely vegan. Unfortunately, Nutella contains cow milk. Therefore just substitute the Nutella with a plant-based chocolate spread, and you are safe to go. 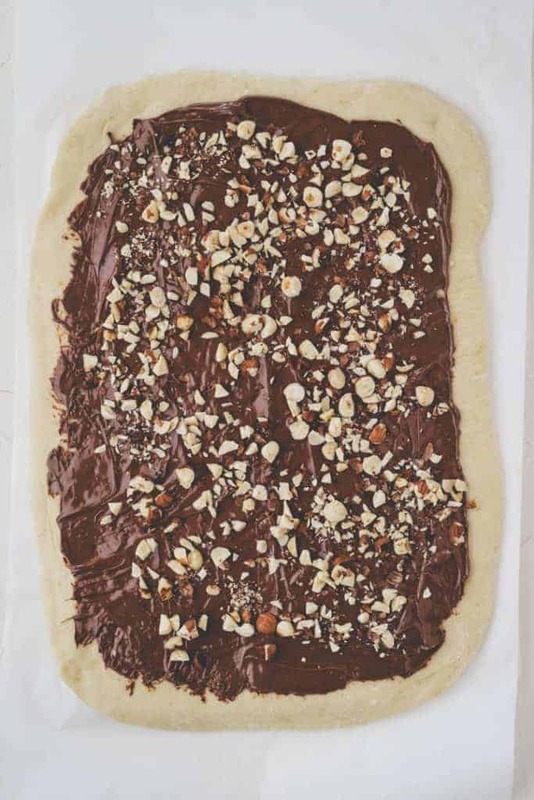 Substitute hazelnuts with other nuts or leave them out altogether. 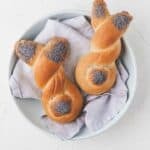 Start making the dough in the early evening and when you reach step 6, let the braided bread rise in the fridge overnight instead of 1 hour at room temperature. 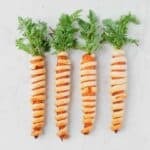 The next day, take it out of the fridge, preheat the oven for 30 minutes, brush it with the bread wash, and bake according to the recipe. Mix lukewarm soy milk, sugar, and yeast in a little bowl and leave it for 5 minutes until foaming. Add it with the flour, salt, vanilla extract, and lemon zest to your kitchen machine. Knead for 5 minutes at a low-speed. 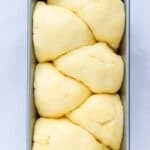 Add the margarine and knead for another 10 minutes at medium speed, until you have a soft dough which comes away easily from the bowl. Cover with a damp kitchen towel and leave to rise for 1.5 hours at room temperature. Meanwhile, roast the hazelnuts in a pan for 5 minutes until golden. Chop them roughly. 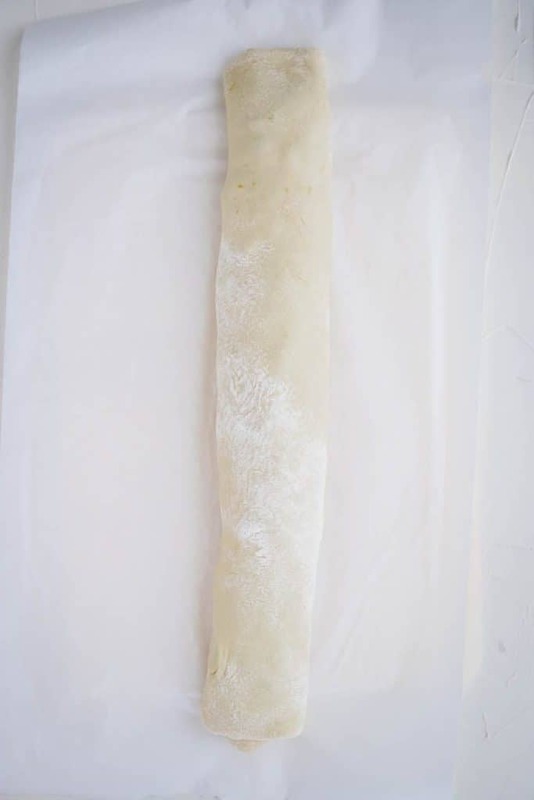 Roll out the dough on a floured surface into a long rectangle (10″x16″ | 25cm x 40cm). 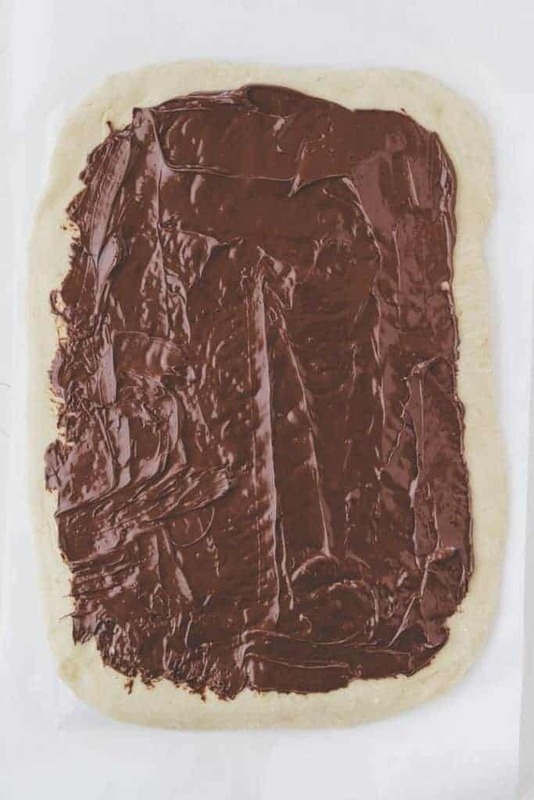 Spread evenly with Nutella and leave ~0.5″/1cm border uncovered. Top with the roasted hazelnuts. 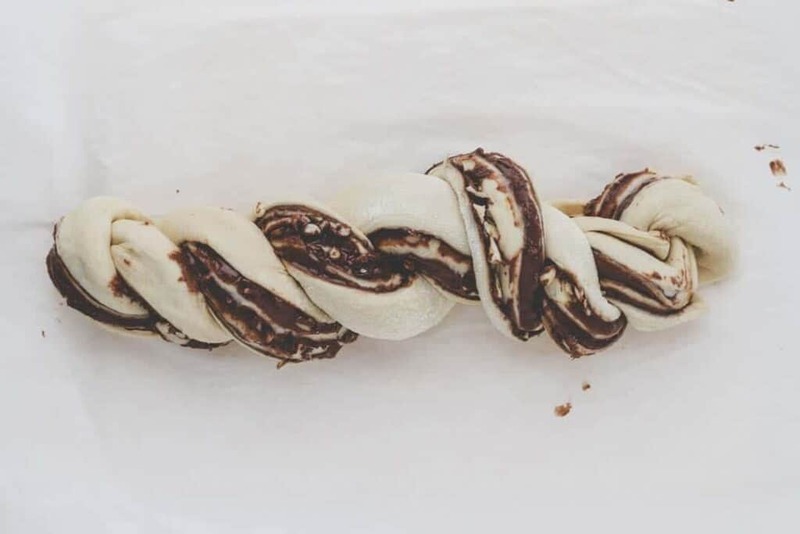 Tightly roll it into a log, cut lengthwise in half, and twist into a braided bread. 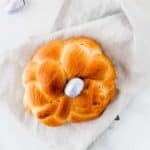 Carefully transfer the braided bread into a with parchment paper lined loaf pan (US: 10″x5″ | Europe: 25cm). Cover with a damp kitchen towel and let it rise for another hour at room temperature (or overnight in the fridge). Bake: Preheat your oven to 395°F/200°C. Brush the bread with the bread wash and bake it for 30 minutes in the oven until golden. Let it cool down for 15 minutes on a wire rack before slicing. 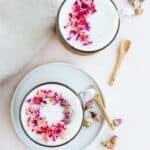 You can use any unsweetened plant-based milk for this recipe. 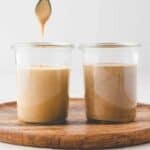 If you only have sweetened milk, use less sugar for the recipe. Don’t worry if the bread doesn’t fill the loaf pan entirely, it will rise during baking. The bread tastes best when fresh, but you can store it covered for up to two days at room temperature or freeze it up to 3 months. Vegan version: Use plant-based chocolate spread instead of Nutella. This looks so decadent! I love flavored bread, and I feel like I can already smell this amazing-ness. Thank you Tiffany ? Yes, it is such a great combination! This looks AMAZING! 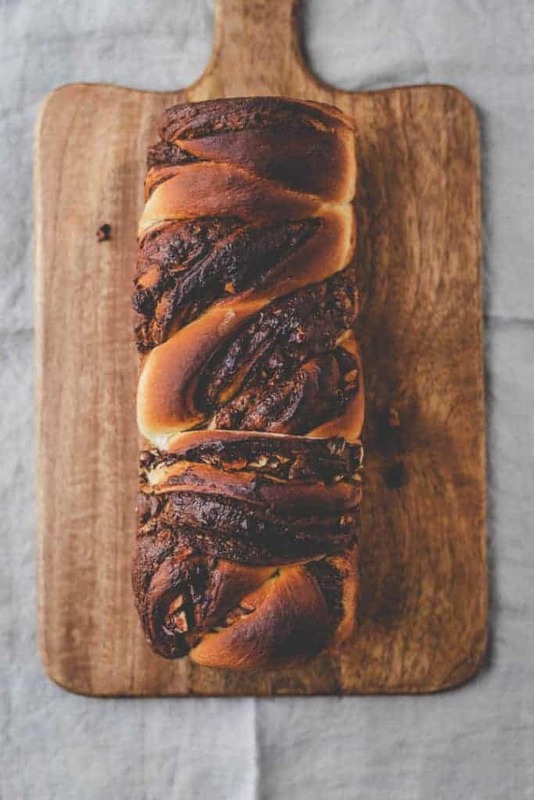 I’ve never considered putting nutella on bread and cooking it, but I sure will now. You have to try it Joanna ? It’s honestly so good! 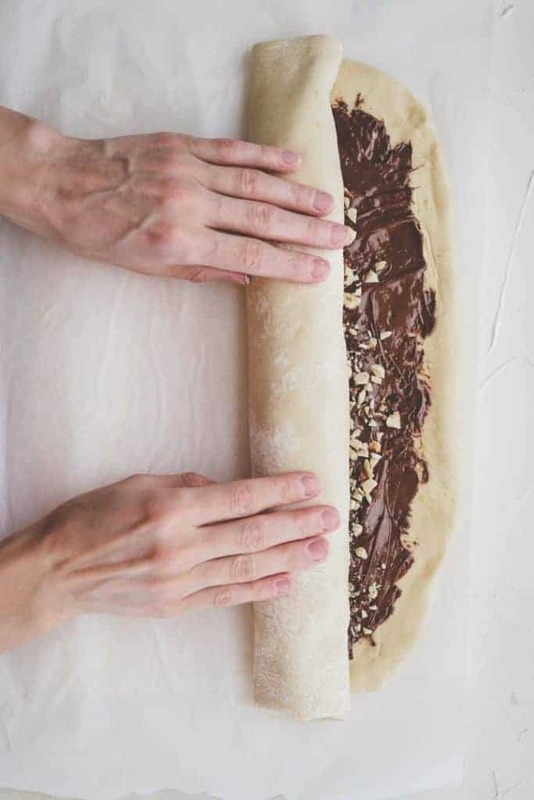 And once finished, you can just enjoy it and do not need to spread every slice with extra Nutella ?